Welcome to our new site! We hope you find everything you want to know about our farm right here and if this doesn’t cover it, we hope this new site will bring you out to visit all of us and our happy herd! 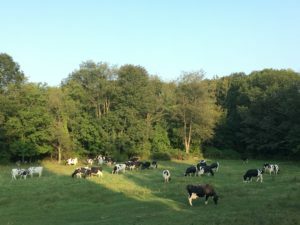 Please do not hesitate to contact us with any questions or comments to help make your experience with our family-owned-and-operated dairy farm and creamery the best. Love your smoked Gouda. I buy it at Market Basket in Oxford Ma. Better than Whole Foods Smoked Gouda. I am a true fan. . Tasted your cheese (smoked Gouda) Sat 12/2/18 at a luncheon event at the Quidnesset Country Club in North Kingston, Rhode Island. Absolutely delicious. Your cheeses compete with California and France. And will definitely come spring visit your farm.